Nashville, TN – Multi-platinum-selling global superstar Carrie Underwood’s new album Cry Prettyis the biggest all-genre debut by a female in 2018, topping Cardi B’s Invasion of Privacy (April 6, 2018). The album debuted at No. 1 on both the Billboard 200 and Top Country Album Charts with 265,654 equivalent album units, making Underwood the only woman in history to land four country albums at the top of the all-genre Billboard 200 chart. The critically-acclaimed album is the best-selling Country album debut of 2018, as well as the biggest Country album debut since August 7, 2015 (Luke Bryan’s Kill The Lights) and the biggest female Country album debut since October 22, 2012 (Taylor Swift’s 2012 Red). 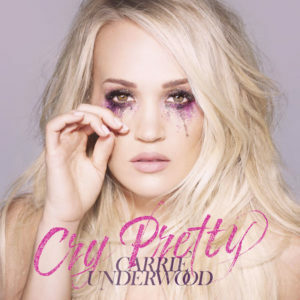 Cry Pretty’s debut week also marks the most first week streams by any female in Country music. This is Underwood’s seventh consecutive album to debut at No. 1 on the Top Country Albums chart, representing all of her first seven albums including her Greatest Hits: Decade #1.